Intel has recently made the whitepaper for its next generation of processor graphics freely available. 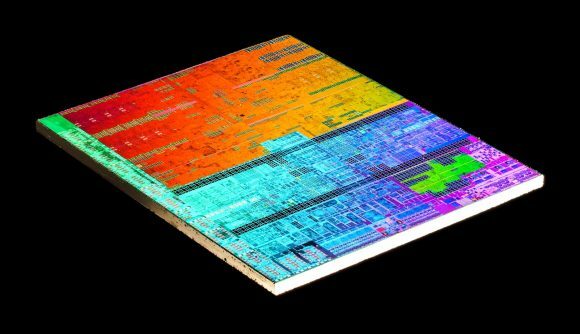 The document, covering the architectural details of the GPU portion of its upcoming 10nm Ice Lake CPUs – yes, they are coming this time, honest – has arrived alongside the first Intel Odyssey event at GDC this year. The two are sort of related as Intel has stated that the Gen11 GPU design contains the basic essential building blocks of the upcoming Intel Xe discrete graphics card set to launch next year. That’s not to say it will be running the exact same slice/subslice design, but Intel isn’t throwing all its latest GPU efforts out with the bathwater when it shifts focus onto Xe. With up to 1TFLOP of compute power, the Gen11 silicon is a genuine improvement on previous iterations of Intel integrated graphics. You can download the Gen11 whitepaper yourself (PDF) but the key highlight is that it’s a massive improvement over the Gen9 GPU used in all the last-gen 14nm processors we’ve been using since Skylake. But what about Gen10? Well, Intel struggles with that number – it was the designation given to the graphics component of the Cannon Lake CPUs, except none of the actually released Cannon Lake chips came with integrated graphics enabled. So we’re skipping over Gen10 and going straight to Gen11. The full spec Gen11 GPU component will come with 64 execution units – those wee cores capable of doing all that integer and floating point maths. The most powerful Gen9 silicon managed just 24. That gives the new generation of processor graphics up to 1,024 floating point operations per second (FLOPS) of FP32 compute power where the last-gen could muster just 384 FLOPS. Intel is also engendering the Gen11 silicon with its Coarse Pixel Shading (CPS) feature. This is roughly analogous to the Variable Rate Shading (VRS) Nvidia has been talking about with regards to its Turing GPU cores, but more importantly this is what is allowing Intel to be in the conversation when Microsoft announced its DirectX 12 VRS support this week. The Gen11 spec also includes Tile Based Rendering too. This allows the GPU to break down a scene into individual tiles rather than having to render the entire scene as a whole. This breaks down the amount of information that needs to be stored in the memory of the GPU, reducing memory bandwidth demands. 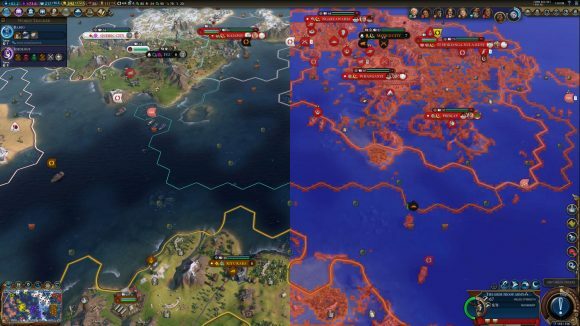 Intel is also building adaptive sync support into the Gen11 GPU too, giving monitors that support the VESA standard, and connect to their PC via DisplayPort, the ability to directly synchronise with the graphics silicon. This will get rid of screen tearing and the micro-judder that is symptomatic of V-Sync, much like AMD’s FreeSync and Nvidia’s G-Sync do. The basic Gen11 design is built in a way that will be familiar to anyone who has spent time looking over Nvidia’s GPU layouts. I’m such an interesting fella that unsurprisingly describes me… Intel divides its graphics processors into slices and subslices, which are similar in layout to Nvidia’s general processing cluster (GPC) and streaming multiprocessor (SM) design. Each Intel slice contains up to eight different subslices, each with eight executions units inside it. This adds up the full 64EU total. On a Gen9 chip, however, Intel only offered 3 subslices for a maximum of 24EU. 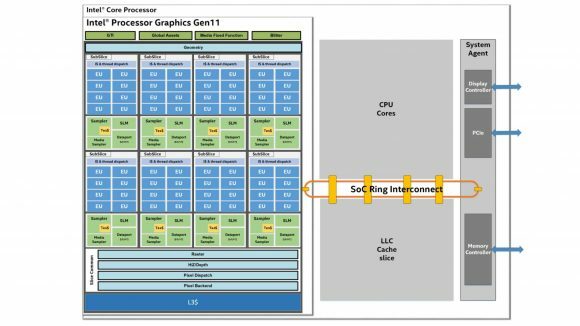 Intel will offer different levels of Gen11 graphics, so they won’t all have the same eight subslices, some might only contain six, for example, for a total of 48EU. The subslices each have their own set of parts; their own instruction cache and thread dispatch units, as well as media and texture samplers. They have to share a certain amount of resources, however, including the L3 cache and rasterizer units. This all allows the subslices to have a certain amount of autonomy, which provides the parallelism required of a GPU, while not wasting logic space on extraneous parts. While traditionally Intel’s processor graphics haven’t really set the gaming world alight, the performance uptick of the Gen11 GPUs should offer a decent level of low-end gaming for PCs and laptops without the need for dedicated graphics cards. That should mean thin and light 10nm machines could deliver pretty decent 720p, and maybe even 1080p, gaming frame rates. 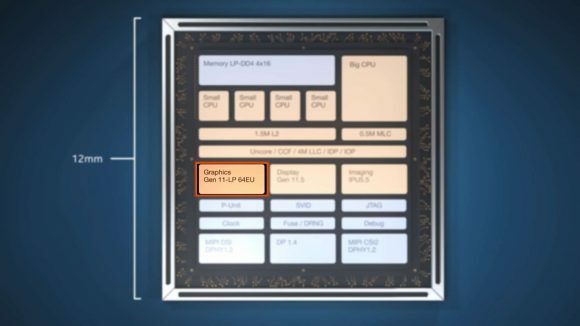 And that includes the upcoming Intel Lakefield processor, using the innovative Foveros packaging technology to create 12mm2 SoCs with unprecedented gaming power. Game on, indeed.